Jesus is back, and in a blaze of glory. A second coming has been a long time in the offing, given the success of the first run of the show at the Theatre on the Bay (producer Pieter Toerien’s own theatre). 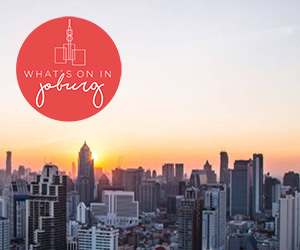 Now Jesus Christ Superstar is even bigger and better on the large stage of Cape Town’s Artscape Theatre. Cito Otto reprises his role as the lead. A man more made for the role would be hard to find, combining as he does a heavily Christian-influenced upbringing with the experience of his day-job as front man for award-winning rock band, Wonderboom. Cito also brings to the stage a natural quiet intensity and a voice that can leap the octaves required without hesitation. His frenzied rock star pacing when yelling at and pleading with God in the Garden of Gethsemane brought the house down. In contrast I was quite ready to be irritated with Nadine, who plays the role of Mary Magdalene. Firstly for the presumption of dropping her surname, and secondly for looking like Hannah Montana. But she was stunning, both visually and vocally, and her aura of gentleness ran through to her voice which, though a tad nasal on the ‘close your eyes’ sections of Everything’s Alright, steered clear of the Mariah Carey-style warbles in which so many lesser performers would have indulged, instead remaining pure and golden. Jonathan Roxmouth as Judas had a sheer physical presence which forgave a dropped note here and there. And Anton Luitingh, who again took the role of Pontius Pilate (and resident director), was utterly superb. It’s a smallish role, but vital both in the show and in the story of Jesus. Within the two main songs – the Dream and the Trial – he faultlessly portrays a multi-faceted character, from smiling arrogance and spitting superciliousness through concern for true justice to deep unease at his own role. Luitingh doesn’t miss a step. Then there was the breathtaking energy of the supporting cast who, whether playing devoted followers or lepers or apostles or soul girls, did not stop acting for one second. Their heartfelt exuberance contrasted perfectly with the detached posturing of Caiaphus and his priests, tall and haughty in white robes the hems of which were stained red, as though they had waded through a pool of blood. For pure theatre, the market in the Temple was the scene of the show. Pole dancers in blonde afros rubbed shoulders with bare-chested wrestlers, gangsters in silver hoodies and pimps in tight gold jump suits while intimidating red-mohicaned pushers in long flaring coats grinned maniacally. The scene was so rich with life and invention that Jesus appeared as if from nowhere, scattering the wayward crowd with an ear-splitting screech of disgust. Herod as a party-crazed 18th century dandy with a rasta wig was also hugely entertaining but somehow less convincing, and Tim Rice’s rapid-fire lyrics – a challenge throughout the production – were rather lost by Terence Bridgett, as though muffled by his thick make-up and swinging dreads. The audience applauded every scene and every song, which made the dreamlike crucifixion scene all the more poignant, as the smoke and silence on stage were mirrored by the stillness in the auditorium. Everyone held their breath as the actors held their poses and the lights dimmed, leaving a backlit silhouette of the iconic figure seen above so many altars. Not a sound was heard until the lights came up and the audience leapt to its feet, thundering applause. 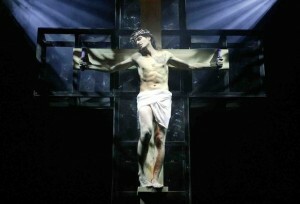 Jesus Christ Superstar is on at the Artscape Theatre 12 – 28 May 2011. Yup, I’m afraid this show, despite a few redeeming features, is a huge disappointment. As Dale suggests, this is meant to be a ROCK opera, not a sweet musical with an attempted moral. I grew up with the 70s double LP and was looking forward to be blown away by some powerful voices, well amplified. Very little humour, limited originality, a very middle-of-the-road interpretation. The mainly mediocre (and all too serious acting) could have been aided by hand held microphones, say. A 5 piece rock band on stage would have helped a lot particularly by reducing the staccato directing. perhaps the best feature of the show were the two main high priests, particularly Caiaphus, who provided a few hearty chuckles with his marvelous expressions and poses. I very seldom yearn for England or America but this disappointing production had me wishing I’d flow to Broadway or the West End. I saw JCSuperstar at the Artscape. Both the actors and the music were great. I enjoyed the show very much and will recommend it! My wife and I went to friday evenings (20th May) production looking forward to JC Superstar bigger and better than ever, only to be totally disapointed with the shows interpretation and performance. JC is a rock concert and should be fun and happenning. The staccato performance staggered from scene to scene and was hugely frustrating and very stiff. The sound was poor with vocals being muffeled and speakers sounding as though they were blown.We came away from the show feeling totally ripped off. The cross clearly comes out of the Theater on the Bay production and takes an eternity to rise and the need to count out 39 lashings is boring and tedious. Sorry can’t recommend this production. I was totally disapoint. Had i not been sitting in the middle I would have left early.